Free Download Manager (FDM) is a light-weight, powerful and easy-to-use application, a full-featured download accelerator and manager. Moreover, FDM is 100% safe, open-source software distributed under GPL license. FDM allows you to download files and whole web sites from any remote server via HTTP, HTTPS, and FTP. 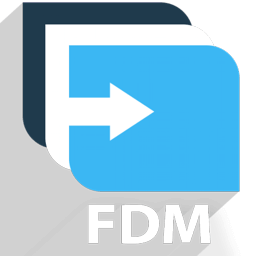 With FDM the downloading process will be as easy as never! With FDM you needn’t start the downloading from the beginning after casual interruption. You can resume unfinished download from the place where it has been interrupted. Also, this program warns you if some servers don’t support download resuming. It allows you to make a decision about the downloading. Free Download Manager never downloads the whole file at once. Free Download Manager splits files into several sections and then downloads them at the same time allowing you to increase your download speed up to 600%. Also, it can be used to organize your downloads, set the connection, launch the programs. Flash video download. Download video from video sites, such as Youtube, Google Video, etc. The video can then be saved in native .flv format or converted to one of the more popular video formats. Upload manager: an easy way to share your files. Upload your files or folders easily to share them with other users. Enhanced audio/video files support. Preview audio/video files before download are completed and convert file format after download. Active spyware and adware protection through active communication among users. You can read what other community members say about the file you are going to download, right in the program window, and also leave your own opinion about the file you downloaded. In this way, FDM users are always warned against useless or malicious files. Multi-language support. Free Download Manager is translated into 30 languages. To translate the program into your native language, you only need to download one of the language files available in the Download section. Supported OS: Windows XP to Windows 10 (32-bit, 64-bit) and Mac OS X 10.9 +. Supported languages: Macedonian, Serbian, Albanian, Croatian, Korean, Arabic, Brazilian Portuguese, Bulgarian, Chinese Traditional, Chinese, Czech, German, Dutch, French, Hebrew, Hungarian, Italian, Polish, Portuguese-Brazil, Romanian, Russian, Slovak, Spanish, Swedish, Turkish, Uzbek, Greek, Vietnamese, Slovenian. Fixed incompatibility with macOS 10.14 (Mojave). Firefox: updated integration mechanism. Now FDM uses ffext2 WebExtension from AMO. Note for the users updating from previous versions: please remove old FDM extension from all Firefox profiles and close Firefox browser before installing and running updated FDM.